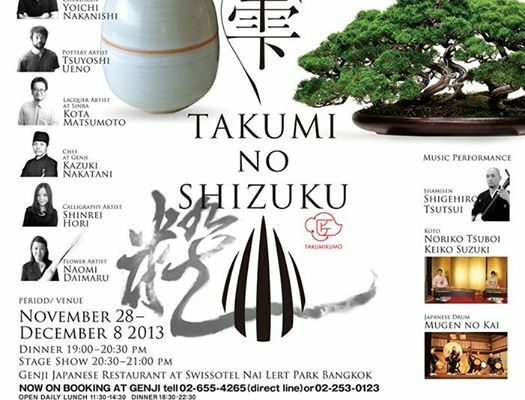 Our next event, TAKUMI NO SHIZUKU in Bangkok, will start in November 28, 2013. We would like you to enjoy the profound Japanese cultures with the five senses. 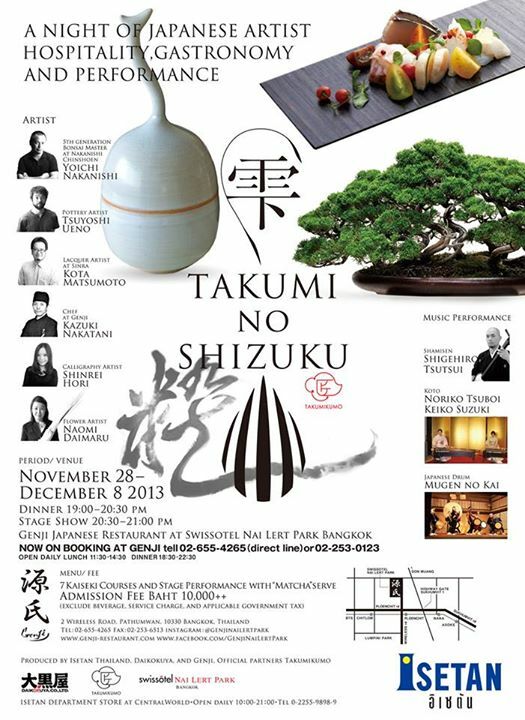 Japanese artisans sincerely welcome you in Bangkok.